So, your best mate is getting married and you’ve been given the task of organising the weekend. No pressure! 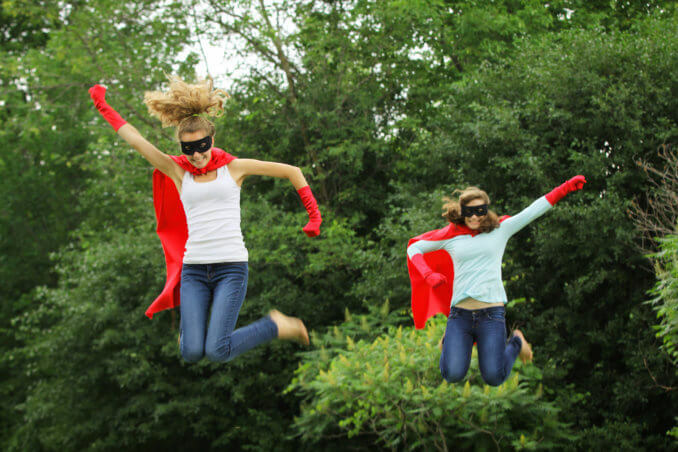 How do you make it a weekend she’ll remember for all the right reasons? Here at Acacia HQ, we feel the key is making it all about her whilst adding little touches to make her feel thoroughly loved. May sound simple but plan a weekend the bride-to-be really wants. If she needs a break from the wedding stresses with a relaxing pampering getaway, make it happen. Even if you’re not that keen on her ideas, really put your heart and soul into them, and encourage the rest of the hen group to do the same. 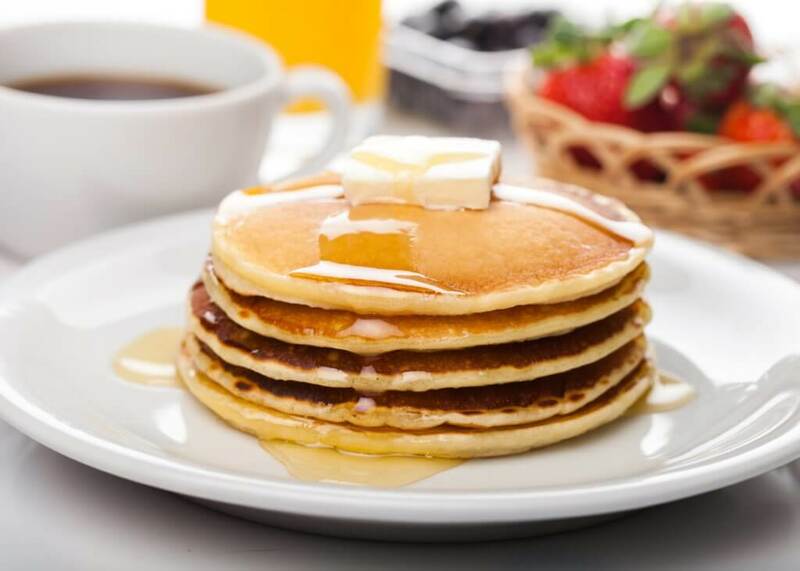 What better excuse is there to indulge in your favourite food and drink, than on a weekend away with the girls? Jam pack the weekend with the bride-2-be’s favourite treats, drip feeding them to her slowly, giving her steady injections of love. She’ll adore having a cheeky Mojito with all the trimmings bought right to her hand, as she sits having a 30-minute pedicure. 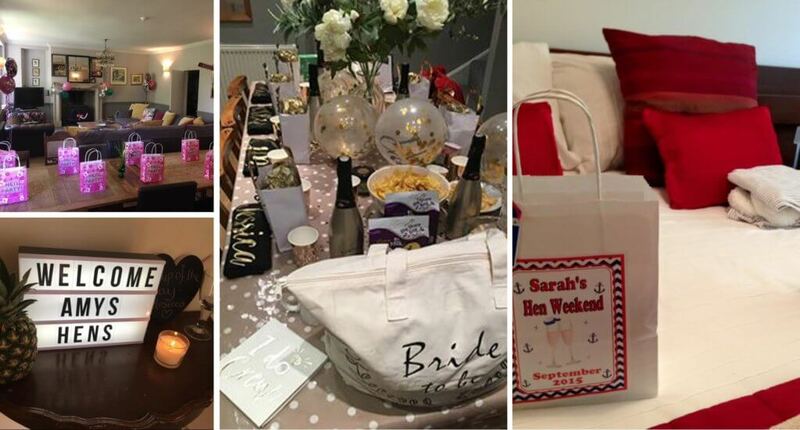 Welcome the hen group (and most importantly the bride-2-be) with a table set-up with items which she’ll love; survival packs, snacks, drinks, photos. 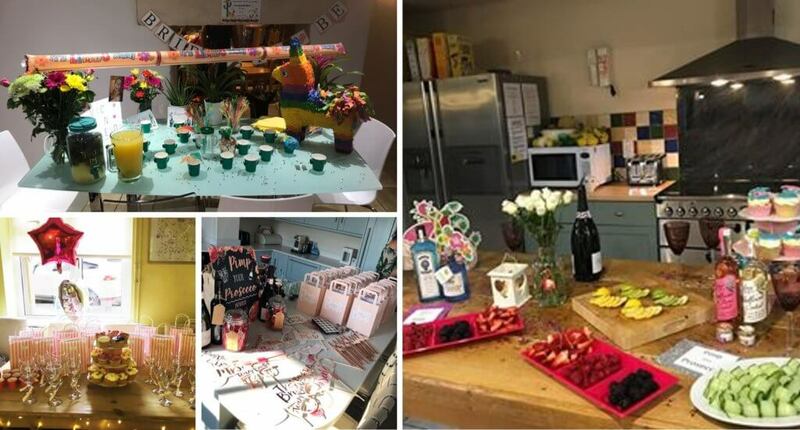 If you know she loves Prosecco, Gin or Hot Chocolates, create a station in your hen party house to feature over the whole weekend. 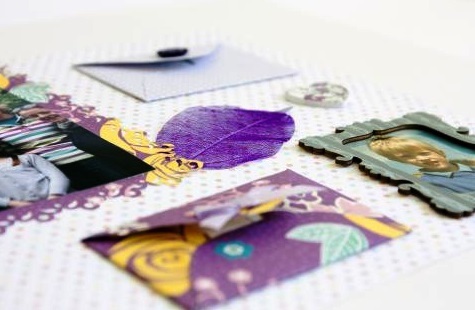 Gather photos of the bride with her hen group spanning the years and pin them to a board. You can ask each hen to bring quotes or stories to add to the board over the weekend. Or, you can add things like stubs from your nightclub entry, the menu from your chef dinner, the nail polish colour she chooses for her manicure. Acts as a great memento. The aim is to make sure she is wanting for nothing. Be creative, add in a note from the groom saying how he loves her, add in the essentials like mints, plasters, water and painkillers. 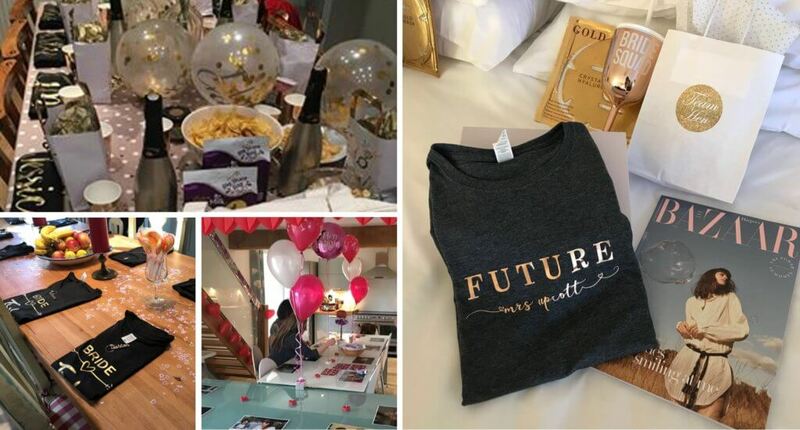 Make her smile with a personalised champagne glass or a tiara to ensure she stands out for the weekend or add in Harpers Bazaar or Hello, a face mask and her favourite chocolates. If you have the budget, order personalised T-shirts for the whole group with hen weekend nicknames. Alternatively, you could order her a personalised coat hanger or silk dressing gown with ‘Soon to be Mrs XXXX’ on it. 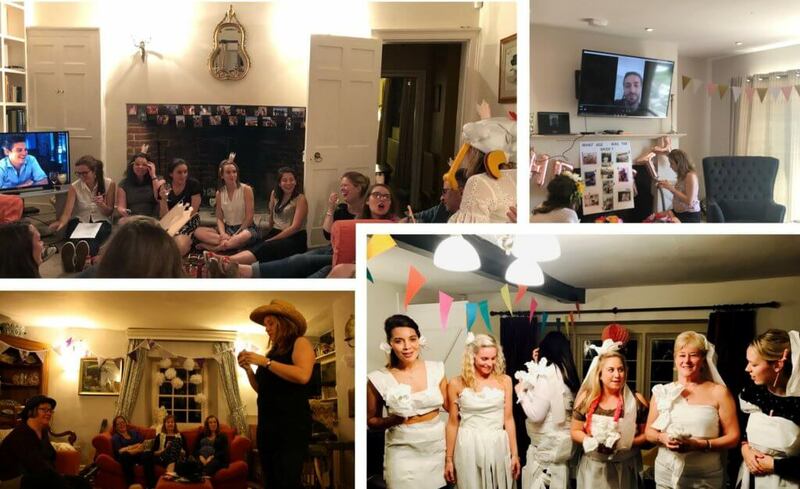 There are so many hen party games to be played centring on the bride-to-be. ‘Mr and Mrs’; Advice for the Bride; What age was she? Complete the Sentence..; Wedding Dress Game. Injecting the games throughout the weekend will ensure the attention is all on her. Similar to the memory wall but get each hen group member to fill each page with love and thoughts. Finally, take decorations. 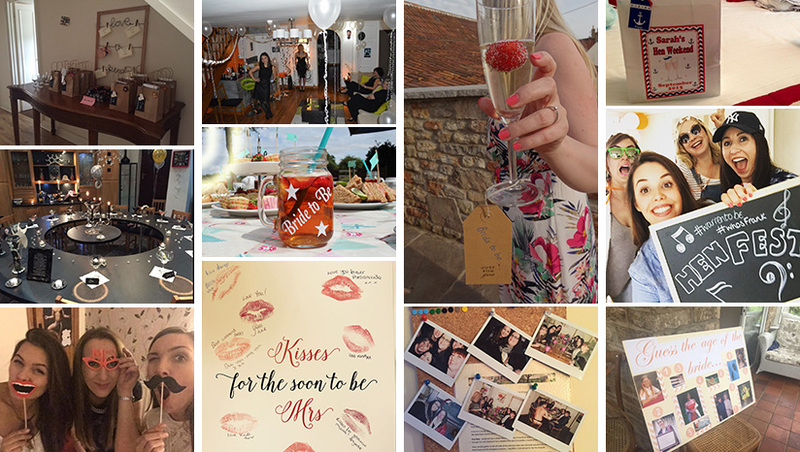 Laminated placemats of pictures of the bride-to-be, bunting, groom masks, balloons, tea lights – the list is endless.